Which is to say, rarity has nothing to do with it. Rather, it’s the discs’ ubiquity that makes them relevant to history. 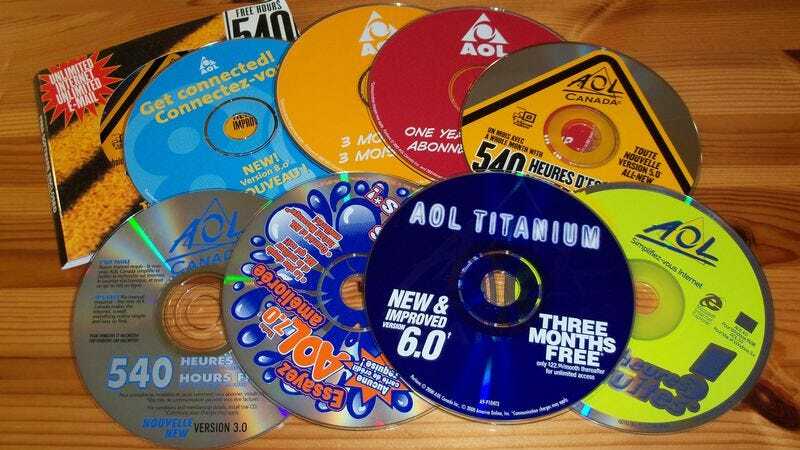 As Brandt pointed out on Quora, “At one point, 50% of the CDs produced worldwide had an AOL logo on it.” That’s also why the discs will probably never accrue any real value. But that’s hardly the point: Collecting is about nostalgia, and for these collectors, what’s worth treasuring is the overwhelming sense of helpless agitation that is aroused when one is reminded of AOL discs.